Region around NGC 249-261-267 in lesser Magellanic Cloud. 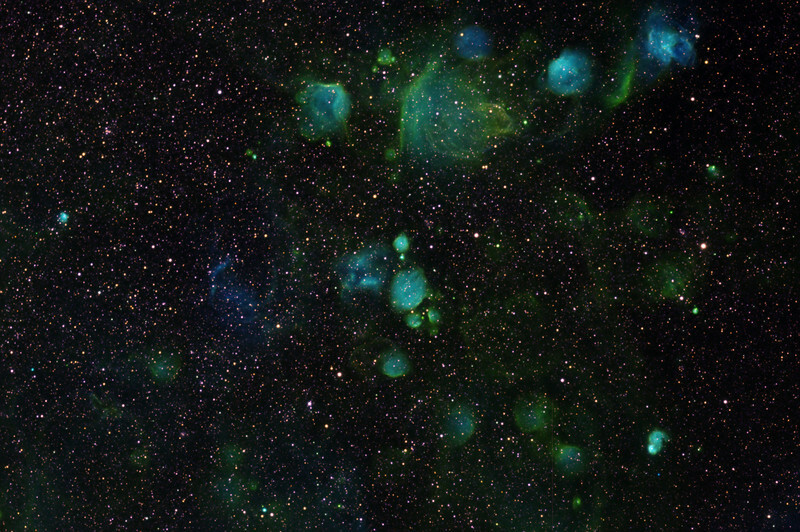 Very strong separation between H-alpha (3 hours, green) and OIII (3 hours, blue). Virtually no SII detectable (3 hours, red). I am minded of a box of chocolates wrapped in brightly coloured foil.